This website prevents unauthorized users from accessing your personal information using SSL encryption. Where can I find my CVV? My 7-day trial is free. If I cancel during it, I’ll owe nothing. 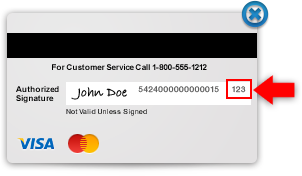 Otherwise, I’ll pay the amount I’ve chosen above, which will be automatically renewed at the same rate until I cancel. My satisfaction is guaranteed—if I’m not convinced that my membership is worth more to my organization than the modest membership fee, I can request a refund of my entire membership payment for the current term. If you prefer to request an invoice instead of entering a credit card to start your access, it's no problem!